Walls and fences of one form or another have been placed on the U.S.-Mexico border since Operation Gatekeeper was implemented more than 20 years ago. As President Trump’s border wall plans progress, some might think federal officials could have learned more from the past. 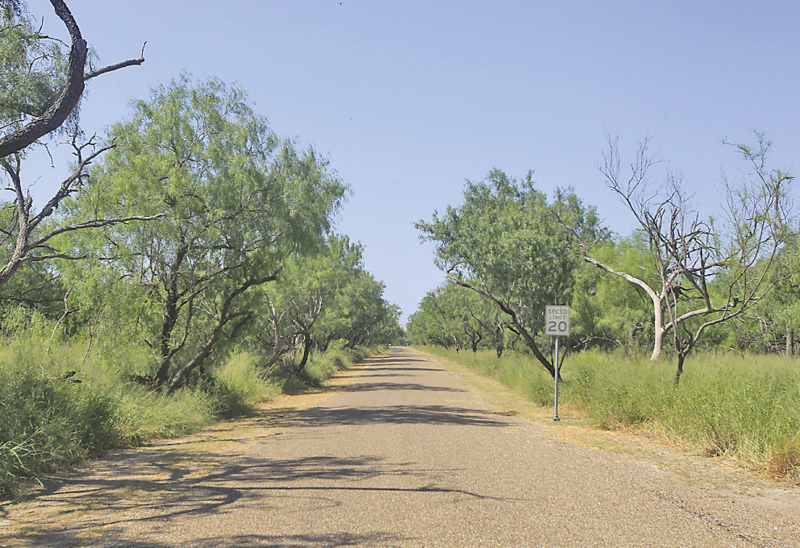 As it is planned now, Trump’s additions will cut through Bentsen-Rio Grande Valley State Park and the adjacent National Butterfly Center near Mission, imperiling the future of both. It’s the oldest state park in the Valley, and it’s part of the World Birding Center network of avian habitats. It’s one of the nation’s top bird-watching sites, attracting some 30,000 visitors a year from all over the world. The park features camping and nighttime activities. Its importance isn’t just avian. Bentsen, like other areas along the Valley border, also is home to the endangered ocelot and jaguarundi, two cat species that aren’t found anywhere else in the United States. The cats’ future could be affected by another part of the wall plans, which call for 24-hour lighting and other surveillance measures. Lights along the Rio Grande were part of Operation Rio Grande, a border control effort that began in the 1990s. Environmental groups filed suit and even the U.S. Fish and Wildlife Service opposed them, as the lights would affect the nocturnal cats’ ability to hunt and feed themselves. To be sure, President Trump’s priority is securing the border from the illegal crossing of people and drugs. A public presence on the land — eyes and ears that can detect crossings or signs that they have occurred — might actually help deter such activity. It’s the reasoning behind expansion of Border Patrol officers to more than 20,000, plus the deployment of National Guard troops to the border. These and other concerns should be addressed, and federal officials should be more receptive to them. U.S. Customs and Border Protection sent out a letter to some border interests announcing a 30-day public comment period on the wall in the Valley. But the letter, which went out sometime before July 10, wasn’t dated, so it’s unknown when the 30-day window closes — or closed. Some 40 human rights, environmental and “public interest” groups sent a letter to CBP asking for more time, as well as at least three public hearings, to give the public a better opportunity to comment. We hope officials heed the request. More importantly, we hope they heed information, and data regarding the effects of existing barriers, so that valuable sites like Bentsen and the butterfly center aren’t needlessly erased. Under current plans and actions, the administration can expect costly battles, both legal and political, that might have been reduced if they had tried to avoid some of the same issues that have come up in the past.